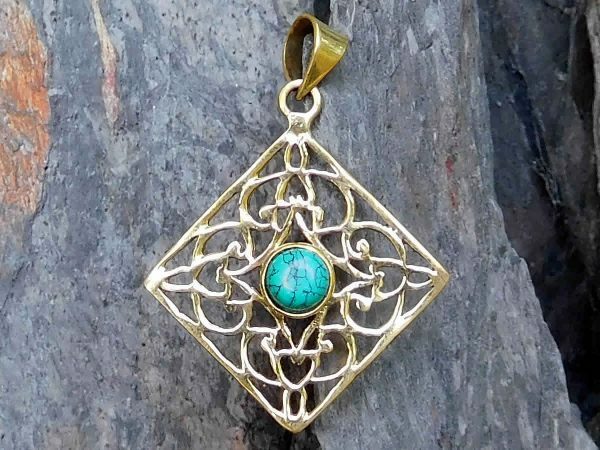 An ornate, regal design pendant necklace hand stamped and crafted in nickel-free brass with a blue-green reconstituted turquoise stone. which perfectly complements its setting. Stone: Reconstituted turquoise stone 6mm.